On the latest episode of his podcast, The Steve Austin Show, legendary WWE superstar Steve Austin revealed the reason why no announcement was made about his match against The Rock at WrestleMania 19 being his last one in the company. The match between Austin and The Rock at WrestleMania 19 in 2003 was the third and final one in their trilogy of WrestleMania matches. The first two matches took place at the 1999 and 2001 editions respectively and both were won by ‘The Texas Rattlesnake’. The encounter saw both superstars use each other’s finishing moves and ‘The Brahma Bull’ even kicked out from a ‘Stone Cold’ Stunner. It eventually took 3 ‘Rock Bottoms’ for The Rock to beat Steve Austin by pinfall. 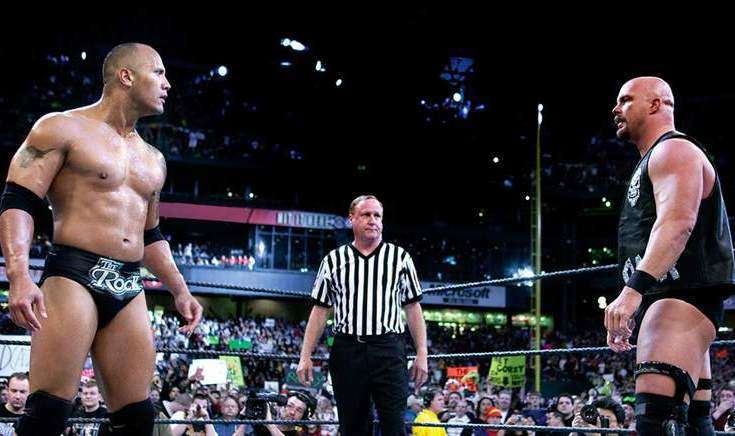 Speaking about why he and the WWE did not announce that he would retire after his WrestleMania 19 match, Austin said that it was because the match was his third and final one with The Rock and the latter was supposed to win. According to him, if his decision to retire from the ring had been announced, the confrontation would have lost the momentum which it had already gathered. “The reason for that was, it was going to be my last match, WrestleMania 19. The neck had caught up with me. Everything had caught up with me. And we didn't announce that, 'hey, this is going to be 'Stone Cold's [last] match' because this was the third and final match with The Rock. He was going over. Although ‘Stone Cold’ Steve Austin has stuck to his decision of not competing inside the ring, he continues to make WWE appearances every now and then, particularly at events like WrestleMania. We can certainly expect that Austin will find a way to make his presence felt at WM 33 as well. Steve Austin is undoubtedly one of the biggest icons not only in WWE history but also in that of professional wrestling. ‘The Texas Rattlesnake’ has left such an indelible mark on the minds and hearts of wrestling fans with his antics during the Attitude Era that they still go crazy each time his music hits.